Villas in Ibiza is an Internet based company established in 2003, our company is family run and specializes in Ibiza Villa rentals. If you are looking to rent a Villa in Ibiza this summer, click here for a full list of our Holiday Villas. The Island of Ibiza has a unique population distribution; the landscape portrays an amazing scattering of white houses disseminated all over rural, urban and forestry areas. Most of our Villas are located around Ibiza's beautiful countryside. Villas in Ibiza can cater for your needs, whether you want to rent a Villa near the San Antonio Bay area, or prefer the sophistication of a Villa to rent near Ibiza Town, or just get away from it all and rent a Villa in a quiet secluded area around Ibiza's outstanding countryside or near one of the Islands stunning beaches. Whatever your needs and wants we can help you find the Perfect Villa to rent in Ibiza. 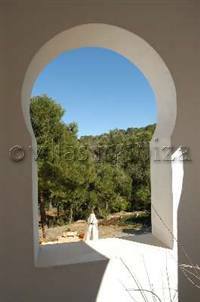 If you are looking for a Villa to Rent in Ibiza, you've come to the right place!!! We have over 100 Villas, so we can accommodate every choice and preference. From large size Villas that sleep 20 people or more to smaller quaint Villas for 4, we have the Villa for you. We specialize in Holiday Villas and our Villa range goes from Luxury to Budget. During the quieter months you will also be able to find attractive Special offers for your last minute Holiday get away in Ibiza. At Villas in Ibiza we work hard to ensure that our rents are amongst the most competitive without sacrificing the quality of our service and we have a Price Matching policy that guarantees the best price always on a like to like basis. The prices for our Villas can go from as little as 850 EUR to the exceeds of 25.000 EUR per week. If you are still not sure of the area you would like to be in during your Ibiza Holiday our simply need more information about our services and Villas to rent in Ibiza, please call us on 0034 971 332 777. We want to make sure that the Villa you rent in Ibiza will suit your tastes or check our Villa rentals in Ibiza listings where each property has a section dedicated to describing it's surroundings and the activities that can be found there. Contact the Villas in Ibiza team for more information.